Develop an understanding of how landscape position influences the seasonal high water table and gain experience interpreting the morphology of upland soils. The registration form above will allow you to pay online via Paypal- you do NOT have to have a Paypal account- it will allow you to pay via credit card. The primary focus of this course will be to provide participants hands on experience determining the seasonal high water table based on soil morphology. Landscape position is generally the primary driver of hydrology at the local scale. Landscape position is a result of geologic formations and prior climatic conditions. Developing a general understanding of geologic formations and the resulting landscapes enables a broader understanding of water movement across and through the landscape. Understanding landscapes and water movement is critical for numerous structural, public health, and environmental applications. Onsite sewage treatment and disposal systems and stormwater systems rely on accurate identification of groundwater saturation to provide the appropriate level of treatment prior to reaching the groundwater. Because the water table can fluctuate many feet, the goal is to identify where saturation and anaerobic conditions occur during normal wet season conditions. 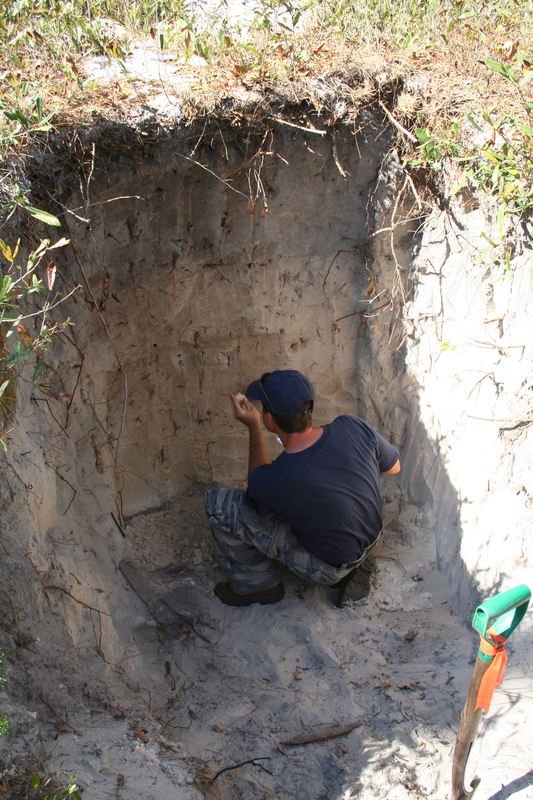 This is achieved through identification of soil morphologies that result from repeated saturation and drying. Florida Registered and Master septic tank contractors are awarded 8.0 contact hours for this training. Individuals certified under s. 381.0101, FS are awarded 9.0 contact hours for this training.